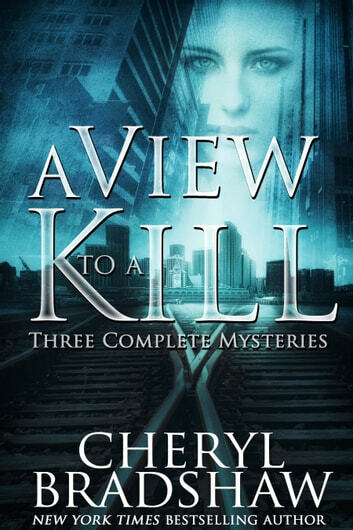 Excellent 3-book set from one of my favorite authors. Add in the great price and you can't go wrong! So, buy the set, you'll find three distinct protagonists, each equally engaging and entirely different! My review of each novel follows. Eye For Revenge: Greatly enjoyed this standalone novel. Good character development and plot progression. As always, I highly recommend. The Devil Died At Midnight: Another excellent novel! I thought I had figured out the whodunit but I was so wrong, which is part of what I loved about the book. I sincerely hope Joss Jax will become the protagonist in a new series. I will be one of her new series fans. I won't write spoilers or describe the whole plot because you must read this book! Highly recommend! Hickory Dickory Dead: I won't give plot lines or spoilers, simply give my impressions of Ms. Bradshaw's newest character. Maisie Fezziwig is a 70 year old feisty, recently retired medical examiner who will win your heart, challenge your preconceived notions about a women her age and, most assuredly, leave you anxiously awaiting the next book in this new series. Maisie describes herself as a "tough, steely ball of female badass" and I found that to be a perfect description of this new character. I found myself cheering her on, laughing at her contagious dry wit and at times in awe of her sharp detective skills. 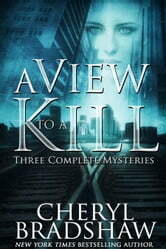 As always, in any genre she writes, Cheryl Bradshaw hit this one out of the park! So thankful the title includes "Book 1" because I am definitely anxiously awaiting Book 2!